Keep your style smooth, simple and full of pretty detail in the SKECHERS Side Street - Star Side shoe. 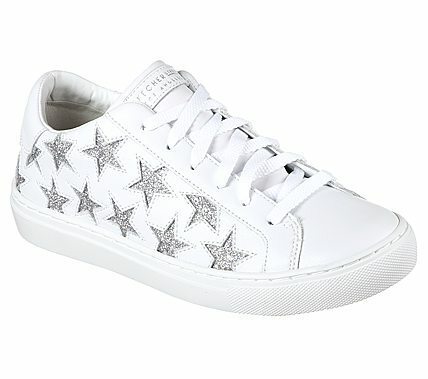 Smooth leather upper in a lace up classic sporty tennis-style sneaker with stitching accents and cutout star designs. Rise Fit comfort insole.